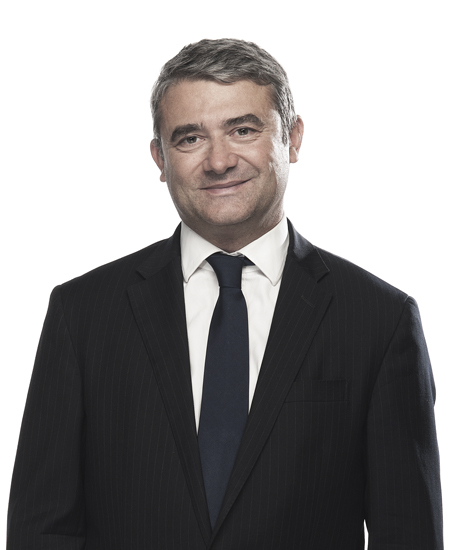 Laurent BUTSTRAËN is co-head of the Non-Profit Organizations Department. implementation of complex structures incorporating bodies from the community-oriented economy (associations, foundations, real estate partnerships, community-oriented commercial companies, etc.). He works primarily for associations, foundations, endowment funds, mutual structures, health and social bodies, and professional and trade union organizations. He has developed recognized expertise in company and family patronage, higher education and research, and professional and mutual organizations. Laurent BUTSTRAËN has a DESS postgraduate qualification in Business Law and Taxation, a DJCE postgraduate qualification in Business Law and a Higher Certificate in Tax and Corporate Law. He joined DELSOL Avocats in 1999 and became a partner in 2004. He has contributed to the publication of several books (including the legal and tax guide Associations et syndicats professionnels – Ed. JURIS-ASSOCIATIONS, the compilation La responsabilité des organisateurs sportifs – Editions WECA, and Le Guide pratique du mécénat d’entreprise – Editions LARCIER), and articles in the specialist press. He has also chaired numerous conferences and seminars on non-profit organizations (taxation, liability, patronage, etc.). He lectures at GRENOBLE Institute of Political Studies, PARIS I University and LYON III University and also organizes frequent training sessions aimed at non-profit organizations.